because of two industry professional's passion for clean, successful marketing. We built a team that ensures success with timeless corporate id packages, gorgeous design, brilliant social media marketing and anything else we can do for our clients. Our team is devoted to bringing our clients gorgeous web design, simple gui’s, interactive and unique promotional tools, all combined with tech-savvy, custom designed SEO strategies. We also have an entire inbound marketing team along with in-depth software that is available for you to use for your business. We pride ourselves on using our extensive industry experience to guide clients in the best ways to spend their marketing dollars. We love our clients, we love our work, and we look forward to creating something new for you. 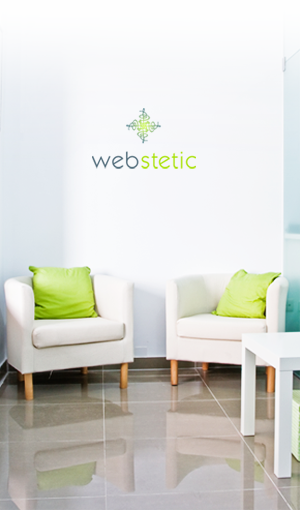 Webstetic is a marketing group that focuses on aesthetic development, web and graphic design and SEO techniques that provide conversion results. Webstetic innovatively combines the online marketing world with traditional marketing concepts that work on and off any screen. Webstetic can develop your brand identity that will lead your long-term vision into the future. Webstetic designs websites that represents your business and helps you increase your sales and generate profit. Each of our clients is represented in a unique and specific way, and our guerrilla marketing strategy allows for cutting edge tactics, organic search results and paid results. Webstetic has the experience to get you results you want for your business.